Rugged display technology, when the ordinary just won't do. AbraxSys Corporation is a leading manufacturer of industrial and outdoor sunlight readable touch screen monitors, rugged marine and military grade LCD displays, rugged computers, panel PC touch screen computers, rail type, touch screen systems, sunlight viewable high bright technology, LED displays, legacy video timing formats, specialty process controls configured video systems, and large screen public information outdoor flat panel digital systems for critical applications and harsh environments. AbraxSys offers a comprehensive line of industrial and high brightness LCD products and Ingress Protection levels, including IP65 (NEMA 4), IP66 (NEMA 4X), IP56, IP54, NEMA 12 (IP52), IP50, and IP67 (NEMA 9). LCD sizes range from 6.5” to 55”. 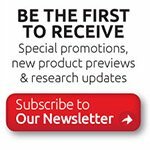 A multitude of mechanical mounting configurations are available including Panel Mount, Stainless Steel Panel Mount, 19" Rack Mount, VESA Mount, Open-Frame Chassis Mount, Rugged Tabletop, Yoke Mount, Head Mount, and many others. AbraxSys ruggedized monitors are available with the latest touch screen technology. Visit our blog for an in depth comparison of the top five touch screen technologies. AbraxSys offers extreme lighting environment solutions such as high bright daylight readable monitors, LED backlighting, optical bonding, and optic coatings. 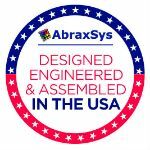 AbraxSys recently announced our migration to the newest optical bonding technology called dry film optical bonding. AbraxSys supports industrial and military/marine customers worldwide with advanced technological visual imaging and computing systems for use throughout applications such as Pulp/Paper, Mining, Petrochemical, Avionics, Maritime, Mission Critical Military, Oil & Gas, Energy, Food & Beverage Processing/Packaging, Metals, Transportation, and others. Whatever your application or environment.....Bring it on!